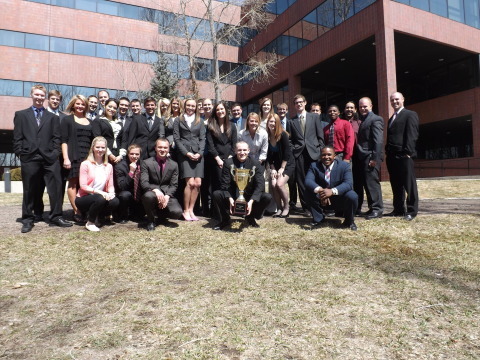 DENVER--(BUSINESS WIRE)-- Peak Inc., a privately-owned outsourced sales and marketing company headquartered in Colorado, announced that their excellent work on behalf of a major wireless client has earned them an esteemed "Campaign Cup" sales award. Chosen to receive the cup based on their leading statistics and quality delivered to the client, Peak Inc. previously won the campaign cup in Q4. Peak Inc. was the top performer among more than 21 other sales offices working on the same program. "We are very excited about winning this award for our superb performance on behalf of the client," said President of Peak Inc., Eric Norregaard. "We appreciate the acknowledgement of our team's dedication and plan to continue to deliver on our promise of excellence." Peak Inc. specializes in personalized, face-to-face sales, focusing on relationship-based marketing and sales. Working on behalf of leading clients in numerous industries, Peak Inc. delivers long-term customers and helps retain current customers for its clients. Like Peak Inc. on Facebook and follow them on Twitter. A premier outsourced sales and marketing firm located in Wheat Ridge, Colorado, Peak Inc. works to increase market share for some of the world's largest companies. Peak Inc. also participates in fundraising efforts for Operation Smile among other local charities, evidencing its commitment to the local community. For more information, call 303-431-6501 or email them at hr@peak-incorporated.com. The article Peak Incorporated Wins Sales Trophy for Excellent Performance originally appeared on Fool.com.